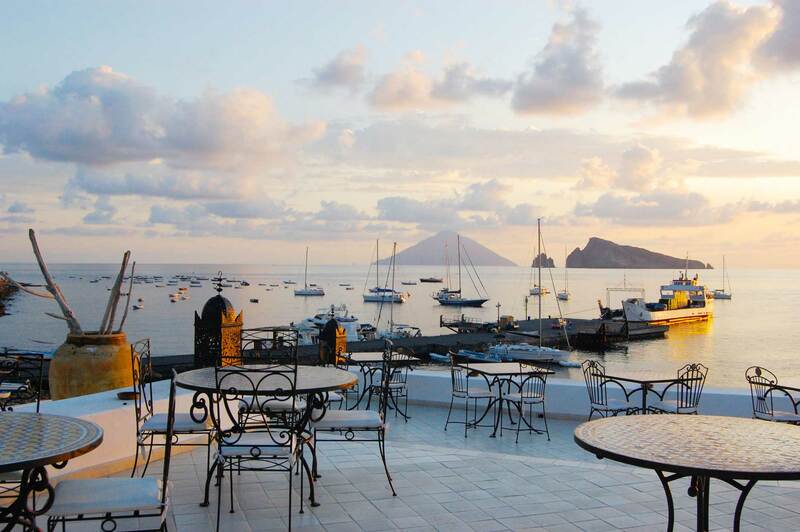 The Hotel Lisca Bianca with its central position in front of the touristic harbour has breathtaking views of the sea and the other little islands that are located in front of Panarea. 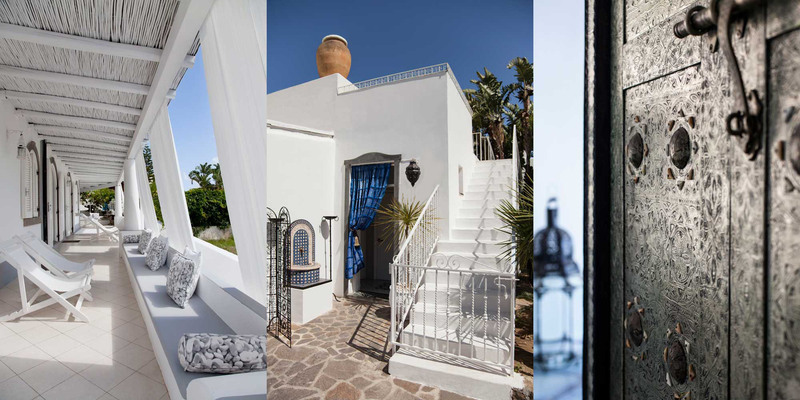 The hotel is divided in small buildings surrounded by wonderful gardens with local flowers and plants. 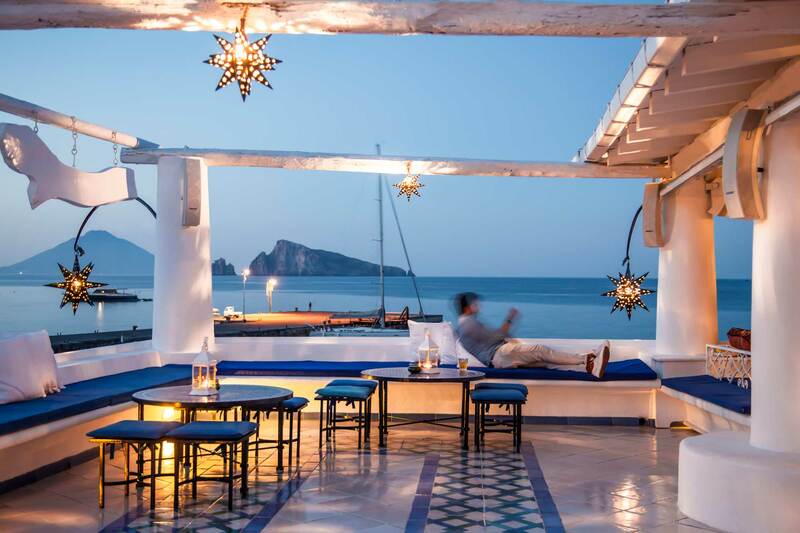 Each sea view room has its own terrace with astonishing views of the sea and guests can lounge in the bar on the main terrace of the hotel from sunset till late night. Free WiFi is offered on the main terrace and lobby of the hotel. 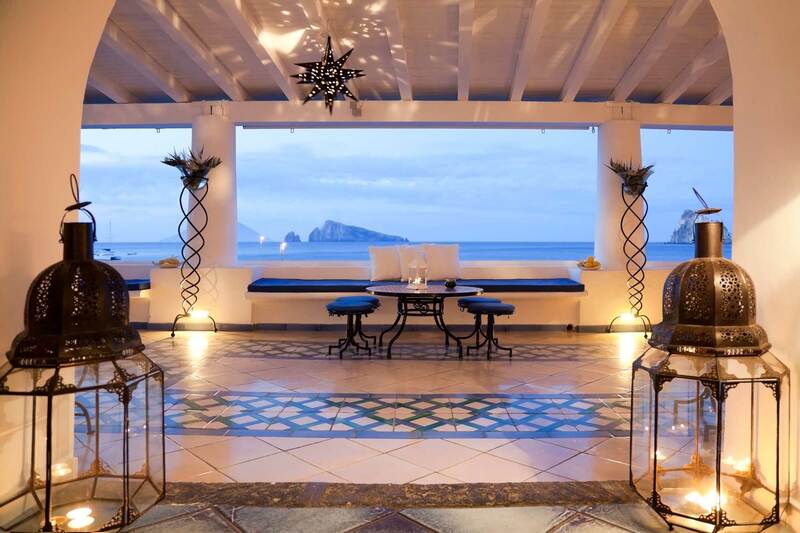 Concierge can provide boat trips around the islands to visit its small bays and to continue onto Stromboli island to be able to see the famous “sciara di fuoco” (an active volcano that lights up the sky with fireworks sparks of blazing orange lava). In July and August the main open air terrace of the hotel hosts a small dance club with music up until 2am. Part of the hotel are the two boutiques Paguro and Buganville that are located on the main road of the island.